The author platform. Do You Have One? Some might argue that if you’re a fiction author, an author platform isn’t as important than if you’re a non-fiction author. But I don’t necessarily agree. Here are my thoughts about building an author platform if you’re a fiction author. The great thing about today’s level of technology and low barrier to entry in the ebook market is we all have the opportunity to be successful. All the people who want to make a living as an author can absolutely attempt to do so. The NOT so great thing about today’s level of technology and low barrier to entry is we all can make it. All who want to make a living as an author can absolutely attempt to do so. It makes for a noisy world of books and authors all clamoring for readers. I won’t lie. There is a lot of competition, and it’s not easy to stand out. If this freaks you out, don’t let it. Sure there is a ton of competition, but Amazon sells over a million ebooks a day, so there’s enough for all of us to get a piece of the pie. But to get our piece of that scrumptious pie we have to have a hook, an angle, something that differentiates us from all the other authors out there. To build an author platform is one way (of many) in which we fiction authors can do that. A way to put ourselves out there to show the world who we are and what we’re all about. The author platform isn’t about shameless self-promotion. It’s about connecting to your audience or potential audience in hopes to engage readers who will then want to read your books. Before you can build an author platform, you need to define your target audience. Who is the reader for your book? I wrote a blog post that goes more in depth about this topic, but in short, you don’t want to target everyone. You need to know who your ideal reader is. What demographic is most likely to buy your book and with them in mind you can build your author platform. People won’t know about your books or who you are if you’re not active in some way. Whether it be social media, face to face, or silently in bookstores. The author platform helps you take that up a notch so you build a home where your readers can find you. That could be a certain social media platform or several, but usually, it’s a website. Even if you don’t want to blog you should have a website, so people have a place to find out more about you. You may be thinking you’re not unique. You’re just an average Jane. What could you possibly have to share that anyone? The answer is a LOT. Listen, you might not think you’re special, most of us don’t, but you are. Each and every one of us is fabulous in our own way and you my friend need to share how fabulous you are. Things like what got you into writing might seem dull to you, but others love hearing how authors got started and had the courage to pursue their dream. Maybe you raise hamsters. Even if a reader doesn’t have any desire to run a hamster ranch you have to admit it IS interesting and who wouldn’t want to read how you got started in that. I could easily rattle off 50 self-published authors whom I know and love. 100 if you add read in that mix. But they aren’t all the same. I could tell you a little tidbit about each one that I like, that I remember, and that makes them stand out. It doesn’t have to be some outrageous thing like you climbed Mt. Everest in stilettos. It could be as simple as you know their favorite place to travel is Colorado, or all their book covers have 1 element that is all the same. It’s no different than your circle of friends. Each one has that one thing that it theirs. The Signature if you will. All these things work to help you connect with readers. Readers are people and people like people. They like books as well but even more exciting than a book is a real person behind it. You can only connect so much with an inanity object like a book. But when you share your personality, your passion, your interests, people are naturally drawn to that. If you’re just starting out this can sound overwhelming. It’s a lot to take in, but if you break it down into small steps, you can work on it as you are writing your book and before you know it you’ll have a platform people will be flocking too. First, have a goal in mind. What do you want your platform to be about? How do you want to convey that message? Create a compelling tagline. One of my favorite authors, Heather Wardell, writes women’s fiction with depth, humor, and heart. That’s her tagline, and I am in love with it. It completely sums up what she writes and who she is. Mine is Life, Writing, and In Pursuit of Fabulous. Because authors aren’t one dimensional and I think we all have that fabulous inside us waiting to shine. I write on my blog just as many lifestyle posts as I do posts about the art of writing and publishing. Have a professional website. I realize it’ a financial investment, but it’s your virtue home. It’s worth it. Write a blog. It’s hard to find even more time to write, but blogging is a great way to help people get to know you. Podcast. 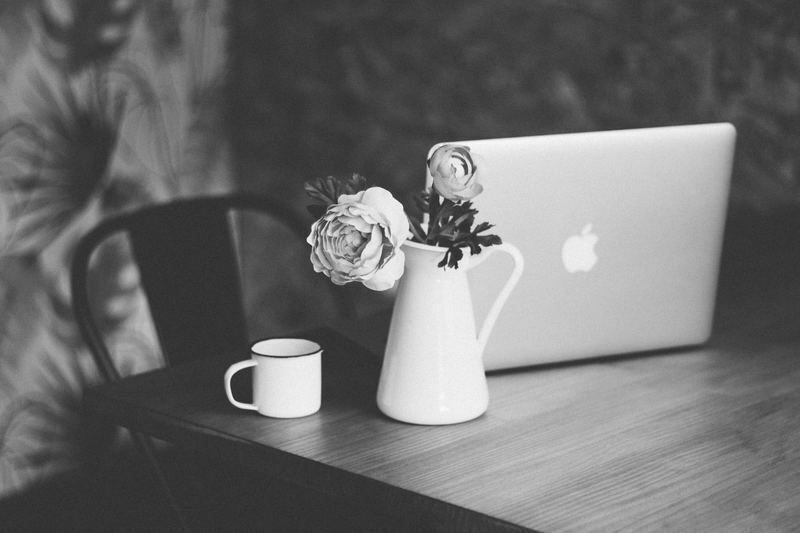 Maybe you don’t want to blog, but you love to chat. Podcasting is a way to verbally get your message out. Social Media. This is a must whether you like it or not. To run a business these days, you need to be active on social channels, but you don’t need to be on them all. Spend your time where your target market is. Build your email list. I’ve written a couple of posts here and here on this topic. An email list is GOLD. People who subscribe to your list care what you have to say and you need to capitalize on that. Send out members only information in your newsletters. Maybe a short story while they’re waiting for your next book to come out. You build your email list through creating opt-ins. Those things that get people to give you their email address in exchange for something. It could be a free chapter or a free book that you can’t buy anywhere. Character extras, behind the scenes looks, or extended story lines. Just remember that we all started somewhere. Even Stephen King started with a mailing list of 1 at some point. Having a successful writing career is a slow and steady process. If you keep at it, you will be successful!